Jenway's 6800 spectrophotometer gains new qualifications! For the first time, Jenway's Model 6800 spectrophotometer is available with comprehensive IQ/OQ documentation, satisfying the requirements of customers, particularly those in the pharmaceutical sector and other regulated industries. Installation qualification documentation enables customers to ensure that they install their equipment correctly, in accordance with the manufacturer's guidelines. Covering issues such as location of the instrument, environmental requirements, PC connection and initial set-up, the IQ document contains step-by-step instructions and provision for all stages to be recorded for audit. Operational qualification documentation is used to verify and document that the 6800 spectrophotometer functions within the defined specification. Approved protocols using traceable standards are set out for wavelength accuracy and repeatability, photometric accuracy, as well as instructions for checking stray light, bandwidth, noise and drift. Covering the UV/visible wavelength range from 190 to 1100nm, Model 6800 is a true double-beam spectrophotometer with highly stable optics and a 1.5nm spectral bandwidth for excellent resolution and accuracy. All functions of the Model 6800 are controlled via a PC using Jenway's intuitive and user-friendly Flight Deck software. 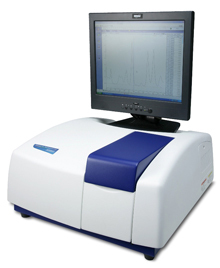 The instrument's double beam configuration compares the light absorbance of test samples with a reference sample and the comprehensive range of measurement modes includes photometrics & multi-wavelength, spectrum kinetics and quantitation. DNA/RNA ratios can be analysed to calculate the concentration of double or single-stranded DNA. The new IQ/OQ documentation is also available separately for customers who have previously purchased a 6800 spectrophotometer.